Our beautiful wax melts are a quick and easy way to indulge in our beautiful essential oil fragrances. 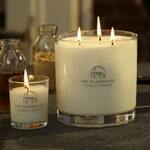 Simply pop a melt into a wax burner, light the tea light beneath and enjoy. 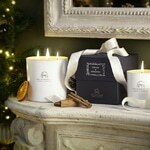 Indulge your friend, family, loved one or yourself in a little happiness with a Mood Duo Gift Set. A 100ml Reed Diffuser and 10cl Candle in your chosen Mood fragrance are perfectly packaged and make a beautiful exclusive gift at any time of the year. If you’re not sure which of our fragrances they would like, why not send a gift voucher?